Susan Klein and Sherry Sullivan graduated with the class of 1994. They have been friends since their second day at Webster University, when they met on the fourth floor of Maria Hall. Klein and Sullivan attended Webster’s centennial homecoming celebrations together. “I think it is a lot of fun, it is a great opportunity to see the university,” Klein and Sullivan said while finishing each other’s sentences. The centennial events started on Friday, Sept. 19 with a celebration at the downtown campus, a live concert, a photo booth, mascots from around St. Louis and a line of food trucks. The university provided a beer and wine tasting as part of the Garden Glow event. Later in the evening at the Webster Groves campus, the university lit up the East Academic Building’s Anheuser Busch Rain Garden at their Garden Glow event. 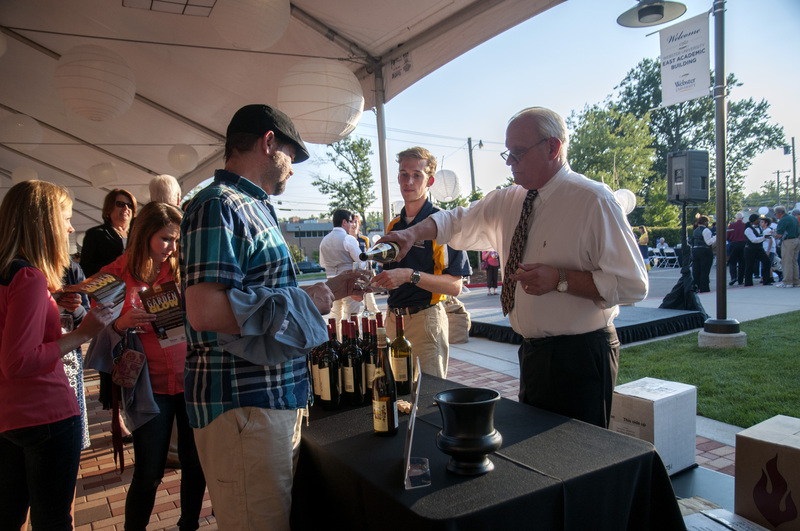 Free specialized glasses of wine were distributed for tasting; samplers were being passed around while attendees mingled. 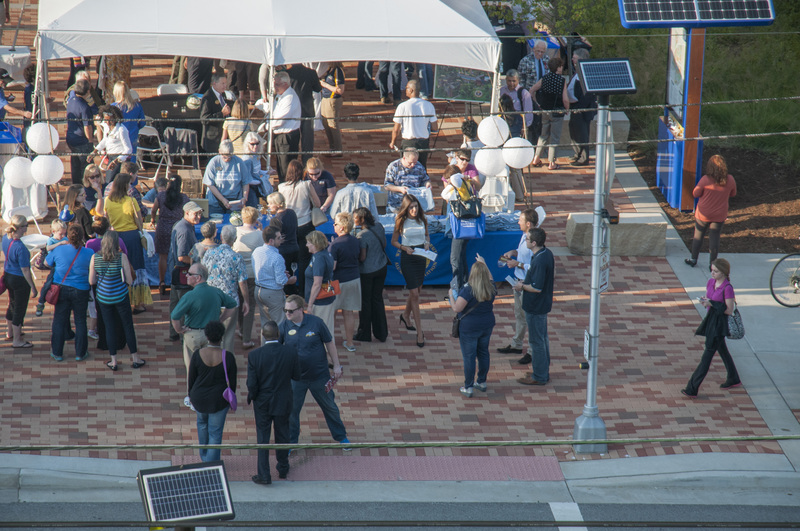 Webster University President Elizabeth Stroble found the centennial event to be a success. They reminisced about Loretto Hall and said they missed the history in the building, and found it sad to see it updated. They talked about an old, iconic elevator from the building. “We called it the psychedelic elevator, it was the kind you can get into and shut the gate,” Sullivan said. “It had carpet on the walls, it was all swirly with ‘70s patterns,” Klein added. Students, staff and community members crowded around the Anheuser Busch Rain Garden to continue the festivities from Webster University’s Old Post Office campus earlier in the day. Later in the evening, during the Garden Glow Webster University Provost Julian Schuster had the crowd raise their glasses as he talked about the next 100 years at Webster University. Alumni, students, community members, staff and faculty shared a day of laughs, reminiscing and free treats. Billy Ratz, adviser to the student ambassadors, said the centennial committee will begin planning the 2015 homecoming shortly. Ratz said it should be “even bigger and better” than this year’s homecoming events. Be sure to visit webster.edu/centennial for a full list of the centennial celebration events that will be taking place during the 2014-15 school year.